Memorial mass for Clarence Edward "Clem" Hoefler, age 80, of Decatur, will be Saturday, January 26, 2019, 9:30 a.m. at Annunciation of the Lord Catholic Church, 3910 Spring Avenue, S.W., Decatur, AL 35603, with Father Wyman Vintson officiating, with inurnment committal in the church columbarium. Reception will follow in the church hall. Shelton Funeral Home is assisting the family. Mr. Hoefler, who passed away on Friday, January 18, 2019, at Decatur Morgan Hospital, was born March 16, 1938, in Detroit, MI to Clarence Harry Hoefler and Laura Anna Wszeborowski Hoefler. He was preceded in death by his wife of 44 years, Catherine Ruth "Grammy" (Nichols) Hoefler. 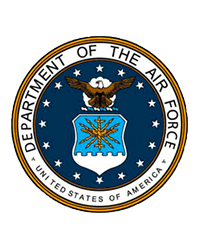 Mr. Hoefler was retired from the U. S. Air Force where he served more than 21 years, and from Boeing Military Aircraft Company. He is survived by four sons, Edward Clarence Hoefler (Debra) of Shell Knob, MO, Kenneth Paul Hoefler (Eva) of Sassenberg, Germany, William Dennis Hoefler (Tanya) of South Hadley, MA, and Thomas Allen Hoefler (Linda) of Texas; two brothers, Robert Hoefler of Warren, MI, and Kenneth Hoefler of Livonia, MI; 11 grandchildren, Stivi Jane Hoefler Masuch, Megan Marie Hoefler McMullin, Kayla Marie Hoefler, Emilie Catherine Hoefler, Elisa Klementine Hoefler, Kasimir Otto Hoefler, Luke William Hoefler, Matthew Martin Hoefler, John Edward Hoefler, Allen Francis Hoefler, and Joseph Clarence Hoefler; and two great-grandchildren, Rayce Edward Masuch and Jax Ryan McMullin. In lieu of flowers, the family respectfully requests memorial donations be made to Annunciation of the Lord Catholic Church.